Landscaping Ideas, Landscape Design, Retaining Walls, Garden Water Features. Designing and installing uniquely beautiful landscapes at a reasonable price since 1998! 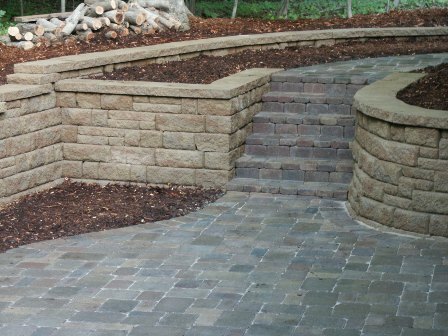 We are a full service landscape design and installation company. We have built our business around customer satisfaction. Designing and installing uniquely beautiful landscapes at a fair price. We strive toward perfection and lasting quality in all of our work! Our experienced landscape experts work side-by-side with you to turn your vision into a reality. It's the middle of winter and time to start thinking about new projects for spring and summer! Give us a call 612-366-5444 we'll be happy to come out to quote your next project. We are updating photos of projects past so please check back to see them.